This review is part of B00KR3VI3WS tours. This novelette is a companion book to The Many Lives of Ruby Iyer. A peek into the soul of an angry, young girl, who will come of age in a city on the verge of total annihilation. Ruby kept a diary from the age of ten till she ran away from home at sixteen. It is from here that I picked out a few diary entries for åThe Ruby Iyer Diaries. This short series of vignettes from Ruby’s life, tells you more a little more about the origins of Ruby Iyer. I have read quite a number of Young Adults novel, but all of them by foreign authors set in other countries. Authors in India are dabbling with this genre, but there are none which standout. The Ruby Iyer series, a ‘first’ from an Indian author that too set in India, has made me really excited. 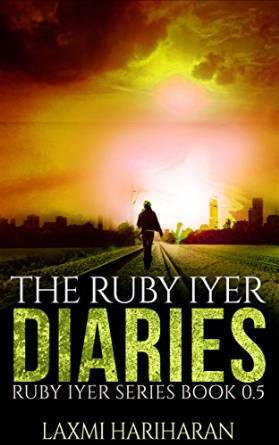 ’The Ruby Iyer’s Diaries’, the first in the series or 0.5 version, gives us a peek into the early life of the protagonist—Ruby. Human beings are a product of our genes as well as the environment we have been nurtured in. The various incidents in Ruby Iyer’s childhood—some trivial, a few life-changing—give tantalizing details about that environment and upbringing of Ruby. Laxmi Hariharan has captured the day to day struggle of a tomboy-ish teenage girl to perfection; her disagreement with her peers and tussle with her mother who is partial to the brother because he would carry name of the family. 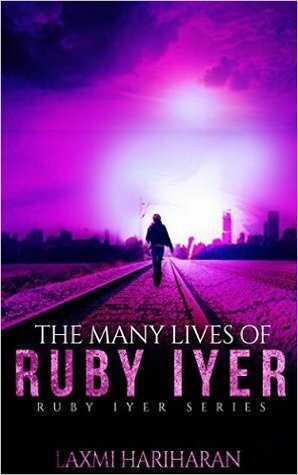 Everyone wants Ruby to conform to conservative mold of an Indian girl/ woman, which is a burden on her free-spirit personality. The author has expertly brought put the teenage rebellious nature and her dilemmas. I normally don’t talk about cover—I feel its more of a personal choice —yes they need to be attractive, but this one really captured my attention. The color combination is sophisticated and tantalizes me to open and read. The eye-catching common theme runs in all the covers of the series. Ms Hariharan narration is fluent and smooth. I could picture the scenes and sense Ruby’s discontent, insecurities and confusion. All in all a very neat and interesting start. 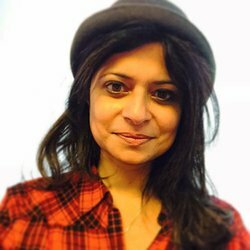 I would be posting reviews for the next in series, so stay tuned for more on Ruby Iyer. Vikram never should have left his family, but when Vikram’s father bring his half-brother Vishal home, life will never be the same.